The Wheeling-Ohio County Health Department is reminding residents to make sure that homes and businesses are radon-free as summer winds down and they begin spending more time indoors. 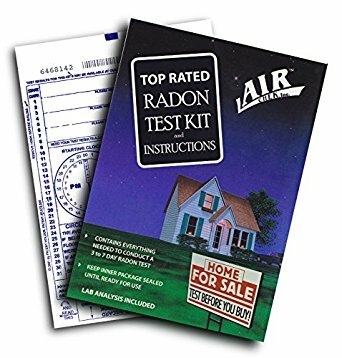 The health department has free radon testing kits that are available at the health department Monday-Friday from 8:30am to 4:30pm. Radon is a gas you cannot see, smell or taste. Radon is the result of radioactive metals breaking down in rocks, soil and groundwater. Exposure to radon occurs primarily by inhaling the air that comes through cracks and gaps in buildings and homes. Radon comes naturally from the earth, so exposure to small doses of the gas is constant. Radon is the second leading cause of lung cancer in the United States, responsible for thousands of deaths each year. The amount of exposure that occurs is the critical issue in determining health consequences; therefore, it is important to test your home or business for radon. High levels of exposure to radon can be deadly. The radon test kits are easy to use and provide confidential results within a couple of weeks to the homeowner. For more information call the Wheeling-Ohio County Health Department at (304) 234-3682.